Jan Haynes began her career as a legal secretary, initially in criminal law in Zambia. She then worked in contract law in London and, through this, came to work in the film and television industry. She has gone on to accrue a substantial body of work in various production roles across short film, TV drama and feature films. Haynes began working in continuity and as a producer's assistant on a run of 80's TVNZ productions, including Close to Home and Inside Straight. She was production manager on 1982's Loose Enz, a series of one-off TV plays, a role she would repeat on feature films The End of the Golden Weather and Absent Without Leave. In 1990 she was a key organiser for a Telethon campaign broadcast, raising money for communities around New Zealand. Haynes has also worked extensively with Wellington company The Gibson Group. She first worked with Dave Gibson in the early 80s, and in 1994 was a producer on Gibson Group series Cover Story. Duggan and The Strip followed, and in 2005 she won an NZ Screen Award for her work on one of the company's most ambitious and offbeat dramas to date, The Insider's Guide to Happiness. Haynes joined directors Peter Jackson and Costa Botes as production manager on the decade-spanning Forgotten Silver (1995), and was part of the multi-national team behind award-winning Alexander Graham Bell project The Sound and the Silence. Haynes has also been involved in a number of projects with director Yvonne Mackay. 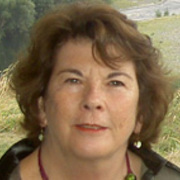 Her most recent collaboration with Mackay was as Development Producer on fantasy series Kaitangata Twitch, based on the Margaret Mahy novel. Haynes' documentary credits include Between Two Worlds, about composer/performer Gareth Farr, for the Work of Art series. In 2005 she produced offbeat short film The Man Who Couldn't Dance, which won awards around the world. She has gone on to produce on children's show The WotWots, the second animated series produced by Richard Taylor's Weta Workshop. Haynes was previously Line Producer on Weta animated series Jane and the Dragon.